HAPPY NEW YEAR, everybody! The chances are that many of you will be reading this with a pounding headache, nausea and a sense that the screen is swimming before your eyes. We call this a hangover. And there are many ways of curing it. But whatever you do, do NOT go to the internet for advice. It will be dreadful. Milk and coke? This comes from a venerable school of hangover remedies, which basically amount to: drink the most disgusting concoction you can possibly throw together, and anything will seem better afterwards. Emily, climate change is not for bodies. Climate change is for planets. Even if it does feel like there is a hole in your ozone layer right now. “Live uni” is sea urchin, eaten alive from its still-wiggling shell. This is the worst idea ever. Eating a pepper like an apple will not save you now. Also: Rhine? Also, Up Your Mass sounds like something you’d say if you were angry with a priest. Email “9 terrible pieces of hangover advice from the internet”. 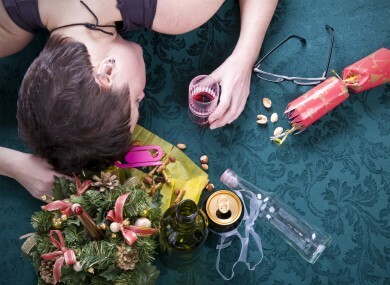 Feedback on “9 terrible pieces of hangover advice from the internet”.